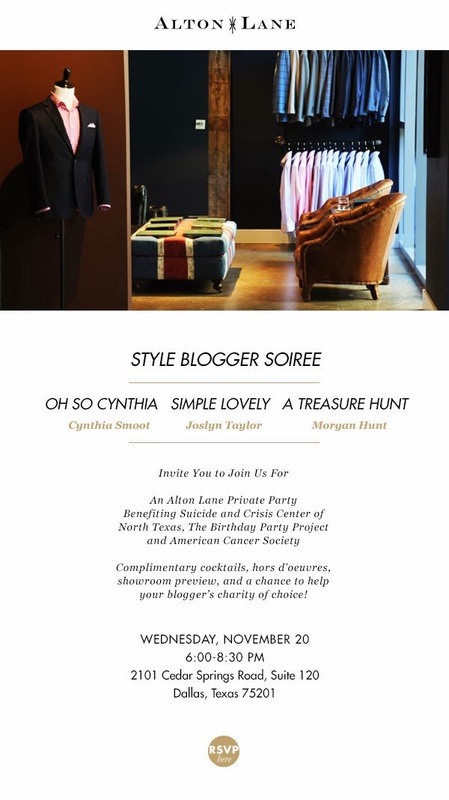 Join hosts Joslyn Taylor, Morgan Hunt and myself for a private cocktail party benefitting Suicide and Crisis Center of North Texas, The Birthday Project, and American Cancer Society. Enjoy cocktails, hors d'oeuvres, and a showroom preview. RSVP to rsvp@altonlane.com.